There is probably no faster way to get drunk than pounding shot after shot of your favorite alcoholic beverage. 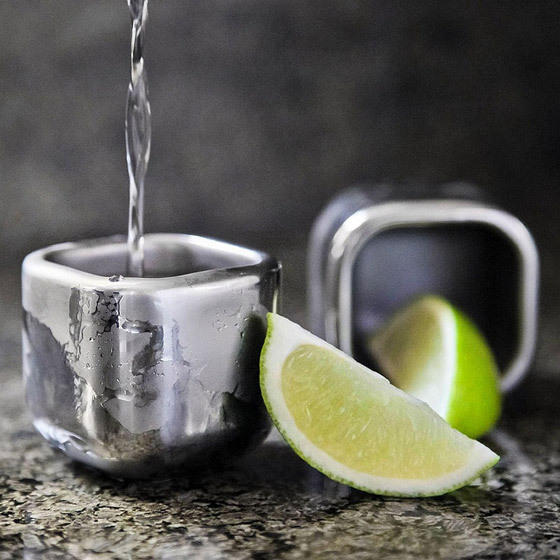 Not matter what you choose, tequila, vodka or whiskey, you need a cool shot glass to drink from. From mad scientist’s tube to creepy crawling hand, these kooky glasses are so wonderfully alluring they will make you wish you could stomach hard liquor. Check out the 12 Cool and Unusual Shot Glasses we sifted through the internet, and each one comes with a purchase link following their name. 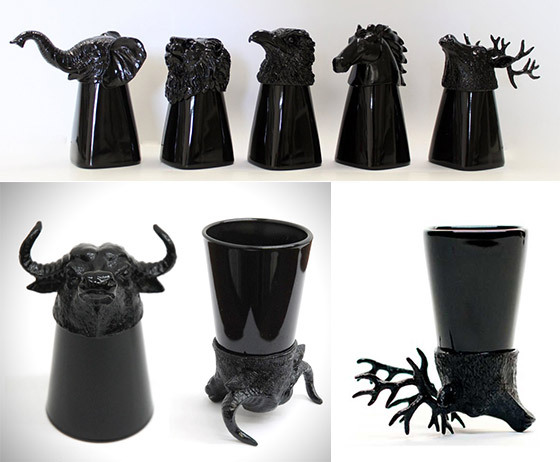 Designed by Christopher Cordingley, this cool new Shot Glass Crawlers is there for you. 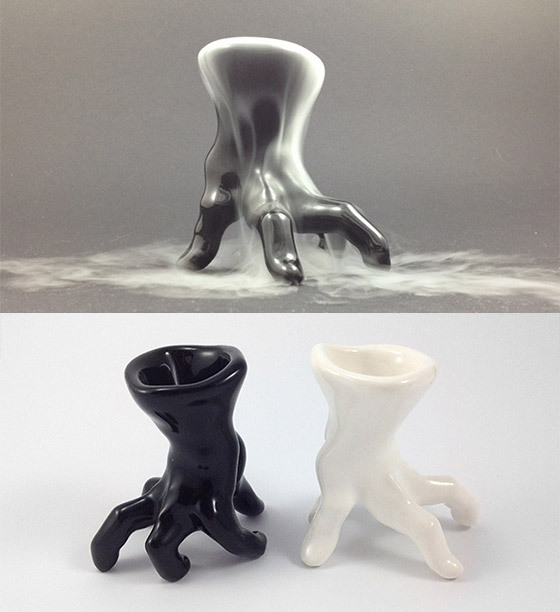 These strange ceramic shot glasses are shaped like the human hand with solid fingers holding up the reservoir that starts at the wrist and goes down to just behind the knuckles. 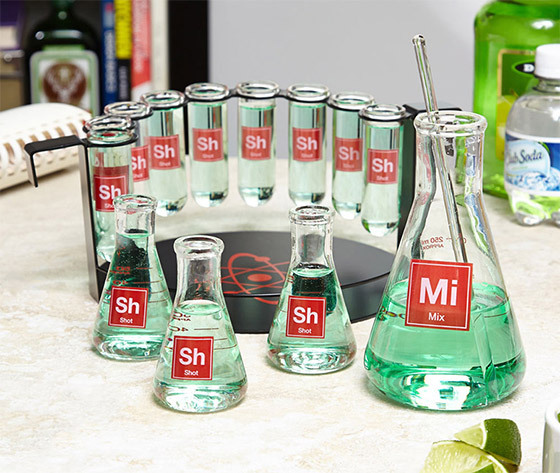 The test tube shot glasses and other supplies in this “chemistry” bar set are here to help you be the best mad scientist of mixology that you can possibly be! 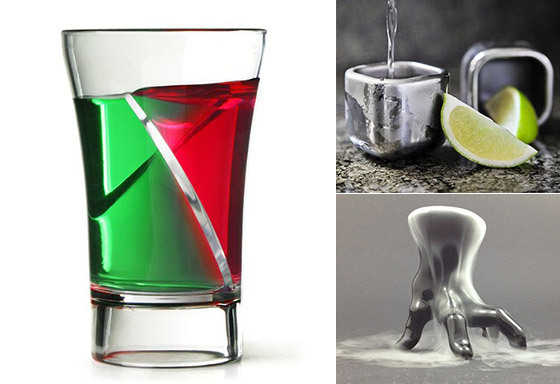 Simply mix up your most intoxicating concoctions in the 10 oz flask mixer with the included stir stick, pour into the 9 test tube shot glasses (1 oz) or 3 lab flask shot glasses (2 oz), and serve up your thirsty, maniacally laughing guests. Start experimenting today with your very own set of chemistry-tastic shot glasses and equipment! Want to get bombed at a party, but in a good way? Just unleash these re-loadable cool new Bombs Away Shot Glasses. 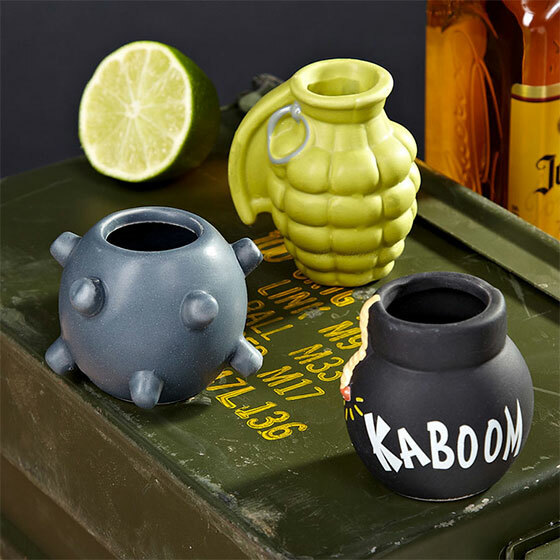 Yep, these ceramic shot glasses are shaped like classic explosives including a grenade, a sea mine, and an old-fashioned cartoon bomb with a lit fuse. Fill with the poison of your choice! Raise the shot glass intently but fearfully to your lips, the barren eye sockets of the skulls gazing upon you simultaneously! 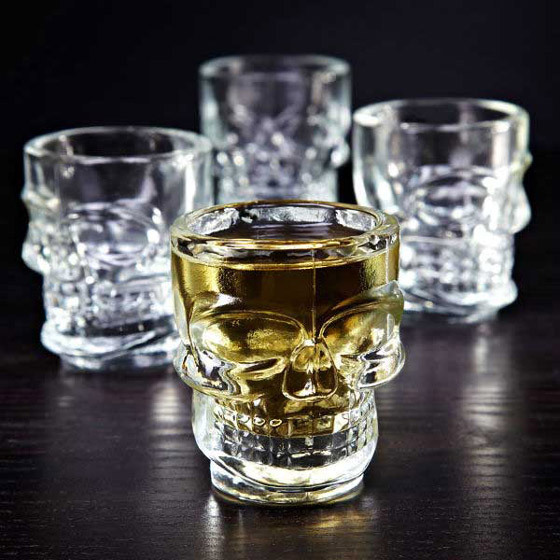 Toss the skull glass back and feel the burn of heinous and robust alcohol! Then make sure someone else has your car keys. Keep your beverage refreshing and chilled with this freezable set of 2 hand-polished Stainless Steel Shot Glasses. The silver tone and unique square shape gives this shot glass pair a cool, funky look. Just pop them in the freezer for an hour before the festivities begin. With an inner core of booze-chilling freeze gel, this shot glass can help to keep your beverage stay frozen for up to an hour. 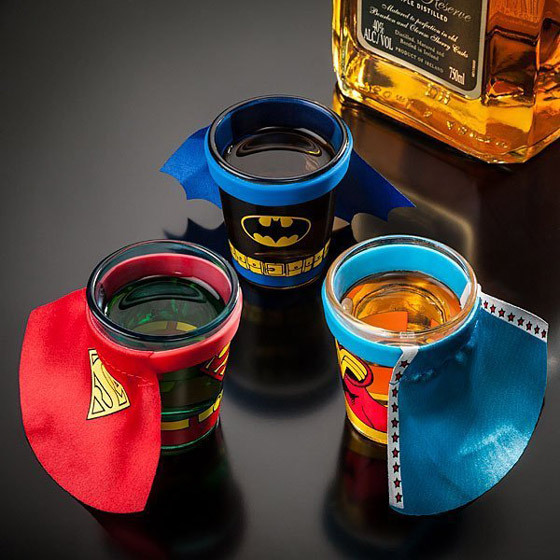 Shot glasses with tiny capes and the logos of everyone’s favorite supers. Officially licensed DC Comics collectable. Cape is removable for washing. 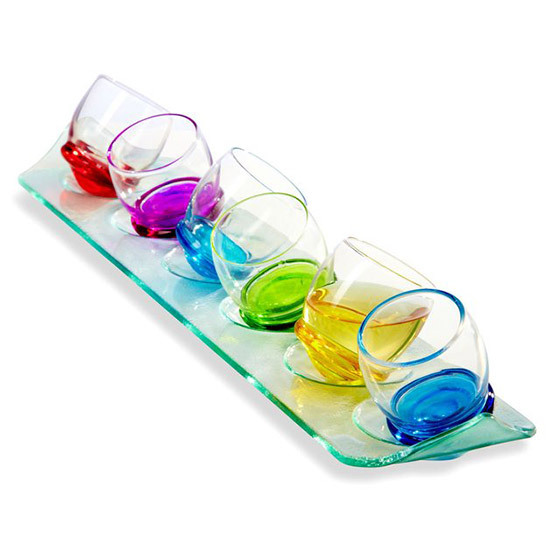 Set of three 1 ounce glasses and is sure to make a great gift! 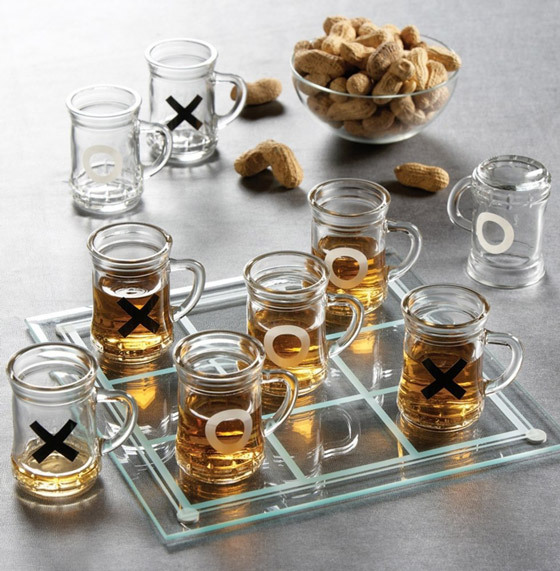 Circleware Moondance Shot Glass Set includes six 2.5-ounce shot glasses and a uniquely designed 14″ L Glass Tray. Each shot glass features a pastel colored base with rolly bottom that allows you to swoosh the contents as it swirls gently on the table. Shot glasses have a 2.5-ounce capacity. Dishwasher safe. 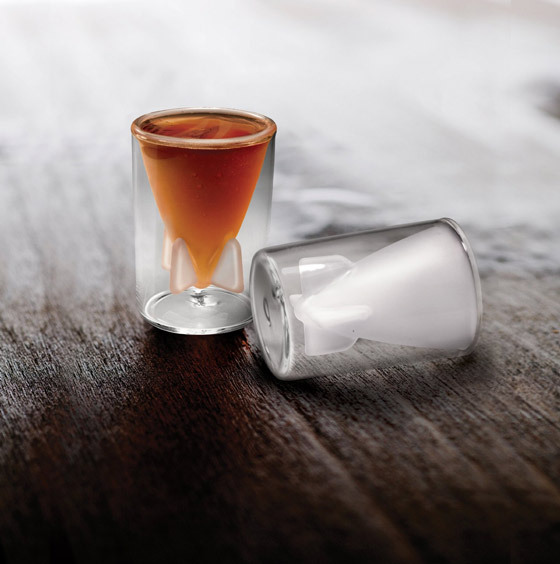 Add a twist to your shot creations with the Econ Siptail Twister Shot Glasses. With endless combinations of flavours possible, the unique twisted design of the Siptail features two twisted chambers, ideal for filling with different spirits and liqueurs for unique flavour combinations. 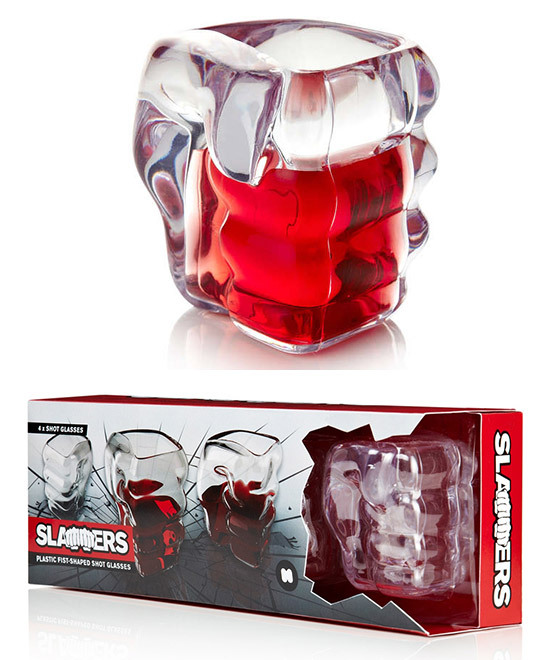 Slam down your drinks with the Slammers Shot Glasses. Don’t clutch at straws, straws are for wimps. 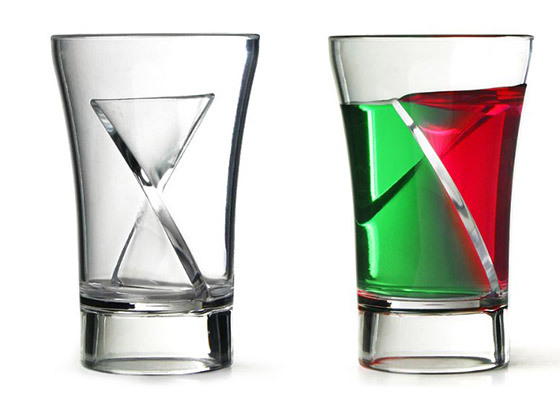 Get to grips with these fist-shaped shot glasses instead. Each pack of Slammers Shot Glasses is slammed with four clear glasses and each one holds a shot of your favorite drink. Each Glass Holds 2fl oz. You’ve probably been playing Tic-Tac-Toe since you were a kid. This tic tac shot glass set will bring those old memory back and add excitement to your drinking game. The rules are simple: the loser must drink all the shots on the board! And a draw leads to both players drinking their own shots. They all look pretty lame. Serious drinkers drink from classy looking glasses, not fads molded into these abominations.